Think about the mid-to-late '90s. What was the status quo for the internet marketer? Marketing analytics technologies had not yet emerged as a tool-of-the-trade, so marketers would create their online campaigns and hope they worked. Today that would be unheard of. Any marketer operating without analytics, measurement, and technology would be out of a job soon. Analytics and marketing technologies have turned internet marketing from mostly art to mostly science. Marketers can easily measure what’s working (and what’s not) -- continually optimizing every element of their campaigns for higher conversion, more customers, and greater ROI. Internet marketing has become one of the most optimized disciplines in the business world. The sales profession has been a different story. 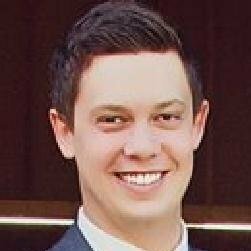 Sales professionals, managers, and leaders have been operating with the same blindfold that plagued internet marketers before analytics arrived. We rely on what we think works in sales. We have our theories, instincts, intuition, and anecdotal experiences. But (until recently) there has been no technology, data, or analytics that has measure what is actually getting results. During the first half of 2016, we analyzed anonymous conversation data from 17 of our customers using Gong’s sales conversation intelligence SaaS platform. These customers were typically mid-market SaaS companies. We analyzed 25,537 B2B sales conversations from 17 customer organizations. These were sales calls conducted on conference call platforms like GoToMeeting, join.me, and Zoom. In other words, these were account executive calls rather than SDR calls (fun fact: the average call ran 43 minutes long). Each call was recorded using Gong, speaker-separated, cleaned, and transcribed from speech-to-text. Next, the calls were mapped to their matching CRM records. This gave us the power to analyze against sales outcomes such as win rates, revenue production, and sales cycle length. Finally, we ran Gong’s artificial intelligence engine through the massive data set. Call topics, key moments, and sales behaviors were auto-categorized using sophisticated AI algorithms. We found seven distinct trends of high-performing B2B sales calls. As sales professionals, we all know it’s best to listen and let the prospect do most of the talking. Still, most sales reps are speaking much more than they think they are. I’m embarrassed to admit: When I first started at Gong, my average talk-to-listen ratio was 72:28 (!) Thankfully I’m trending closer to 52:48 these days. Now for the good stuff: The ideal talk-to-listen ratio for the highest yielding sales calls is 43:57. Increasing the prospect’s talk-time from 22% to 33% of the total call time significantly increases opportunity win rates. Discussing pricing three or four times in a call seems to be a good sign, but let’s all remember: Correlation does not always equal causation. According to our data, when pricing is discussed less than three times or more than four times in any given call, win rates decline. Top-producing sales reps “talk price” around the 40-49 minute mark in their sales calls. Moral of the story? Establish value, then talk price. When your prospect responds to your timeline question with “probably,” they are likely responding cautiously because of how seriously they are considering the purchase. Again, it’s best to treat this as a buying signal while keeping in mind that correlation doesn’t always equal causation. Now that we’ve talked about the positive signal regarding the timeline question, let’s talk about the negative signal. When potential customers respond to a sales rep’s timeline question with some variation of “We need to figure out [fill in the blank],” there is a negative correlation in terms of win-rates and forecast accuracy. 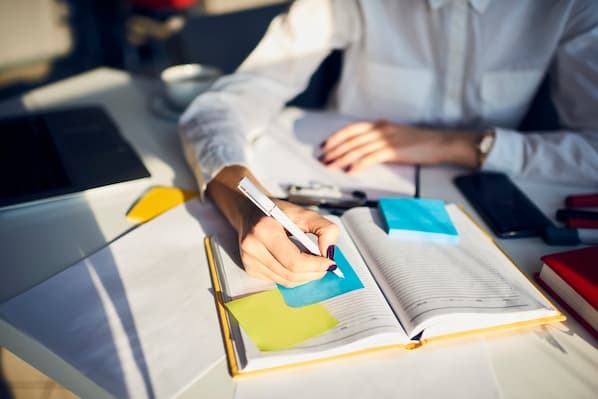 No need to give up on your deal if you hear this phrase, but as a sales professional, you deserve to know the data: Your chances start to dwindle when your prospect utters these words. Remember when I said your lowest-hanging fruit for increasing your win rates is getting the prospect to talk more? Well, here’s your second lowest hanging fruit: Soothe your prospect’s pre-purchase anxiety by mitigating their risk. 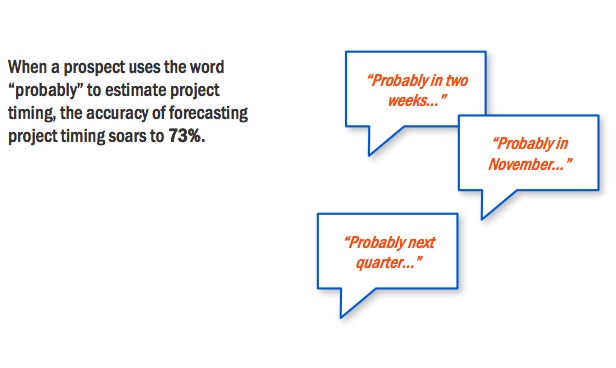 In our research, we found that when salespeople use "risk-reversal" language, their odds of making a sale increase by 32 percent. I’ve noticed most sales professionals actively hide deal terms like this -- they don’t want to deal with an opt-out, a cancellation, or headaches of that sort. Here’s my advice: The increase in your cancellations and opt-outs will pale compared to the much larger spike in your win rates. The customers we pulled this anonymized data from were using the Gong conversation intelligence platform for sales call coaching. Those customers that had the highest usage of coaching activity within the platform experienced the highest increases in win rates and revenue, while also shaving the most time off of their sales cycles. It makes sense. The highest leverage point of the sales cycle is the conversation between a rep and a prospect. If you can increase the effectiveness of that “lever,” you’ve made measurable progress. The “ideal” talk-to-listen ratio is 43:57. Most sales reps speak 65-75% of their calls. 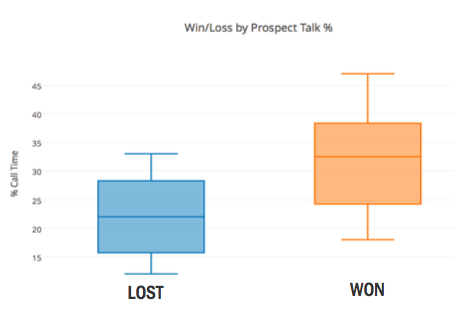 Bumping a prospect’s talk-time from 22% to 33% delivers a sharp increase in win rates. If pricing comes up 3-4x in a call, consider it a buying signal. 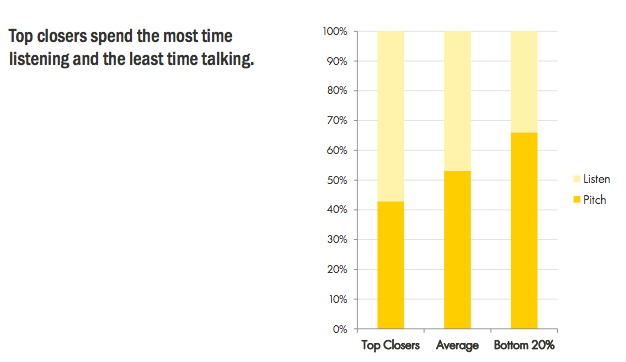 Top sales professionals typically discuss pricing late in the call (40-49 minutes in on average). When your prospect responds to the timeline question with the word “probably,” consider it a good thing. When prospects respond to your timeline question with the phrase “We need to figure out X,” you’ve got your work cut out for you. When you soothe your prospect’s fears with risk-reversal language, win-rates on average increase 32 percent. 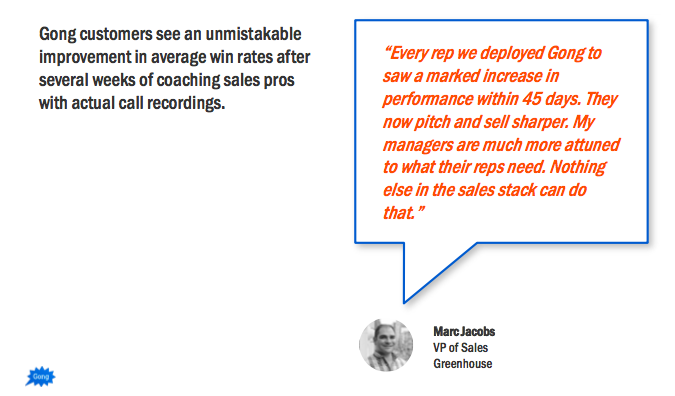 Conversation-level sales coaching leads to higher win rates, more revenue, and shorter sales cycles. Now that we’ve brought the sales world the first wave of data-driven sales conversation insights, I’d love to hear what you think. What questions do you have for me? What surprised you? What validated what you already knew? Shoot me an email at chris.orlob@gong.io.